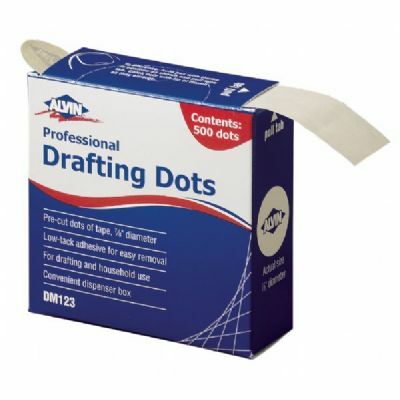 Hold your drawings and artwork in place with these pre-cut dots of tape. 7/8" diameter each. Low-tack adhesive for easy removal. For drafting and household use. Convenient dispenser box. Contains 500 dots.